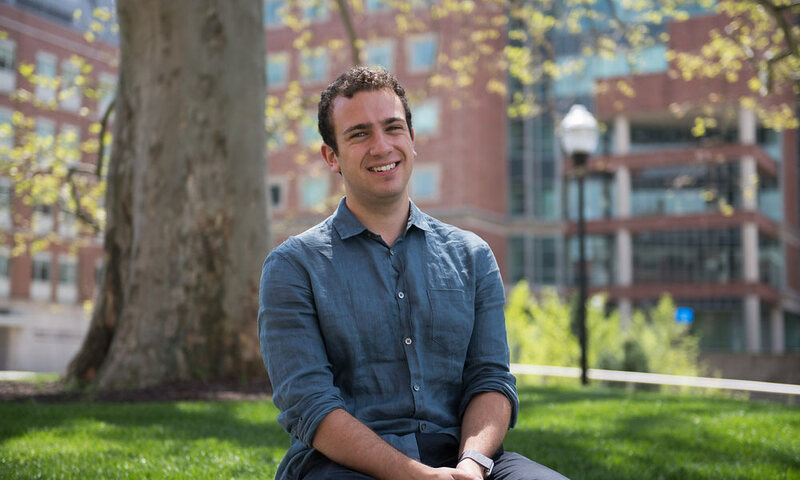 Josh Pachter ’18 knew he wanted to study engineering in college, but he also wanted the freedom to explore other fields. That was illustrated this year, when Pachter took part in the Senior Scholars Research Program. In a project involving self-driving cars, Pachter addressed some timely, practical—and philosophical—questions: Can we train machines to act ethically? And if so, how? Pachter’s advisor, Hayley Clatterbuck, an assistant professor of philosophy, says Pachter was able to apply his deep knowledge of computer science and philosophy to synthezie complex theories in both fields and generate “fascinating” results. As Pachter found, machine learning is plagued by forms of bias when programmed by humans who may have different moral frameworks. Examples of bias include hugging the side of the road too closely or choosing to run over one group of humans rather than another because of some arbitrary factor. What’s important to one may be less important to another, and the results could be catastrophic. Pachter’s idea is to create ethical machines through a process similar to how we raise children. The best example? Don’t run into people. Pachter’s research experience includes a summer at Harvard University’s Wyss Institute for Biologically Inspired Engineering, where he worked on a soft robotic glove aimed at restoring the ability to grip to stroke victims and muscular dystrophy patients. He also worked in the University of Rochester’s Human Computer Interaction Lab working on a virtual conversation coach that provides live feedback on how we are speaking. Last summer, Pachter landed an internship with Amazon at their Seattle headquarters. He was hired before returning to school and will begin work this September as a software development engineer. During his time at the University, Pachter was part of the After Hours a capella group, was a Senator in the Students’ Association, and a member of the 2018 Class Council.